Dr. Timothy Reaume graduated from the University of Michigan with a bachelor’s degree in 1985, and then continued on at the University of Michigan School of Dentistry, earning his dental degree in 1989. 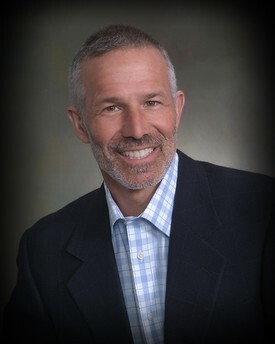 Dr. Reaume is certified by the Northeast Regional Board of Dentistry, and is a member in good standing of the American Dental Association, the Michigan Dental Association, the Academy of General Dentistry, and a participating member of the American Academy of Cosmetic Dentistry. He enjoys all aspects of dentistry and has a particular fondness for occlusion and esthetics. Dr. Reaume’s diverse continuing education transcript includes time spent in clinical participation courses at the Center for Advanced Dental Study with Dr. Peter Dawson and Practical Clinical Courses with Dr. Gordon Christensen as well as numerous hands on courses with the AACD. Dr. Reaume has participated in committee work in the local dental society, and is active in the community. He has been involved with the Cadillac Area Rotary Club and served on the board of the local YMCA. He resides in Cadillac with his wife and two children. Dr. Reaume has been fortunate enough to combine his passion for his career and adventure by traveling on multiple mission trips. He enjoys outdoor activities, and when not looking for adventure elsewhere, is often sighted running and biking around the area.